First Death In Mysterious Salmonella Outbreak : Shots - Health News Government investigators have linked the illnesses of 77 people across the country to a strain of salmonella that is resistant to many antibiotics. The likely culprit is ground turkey, according to the Centers for Disease Control and Prevention. 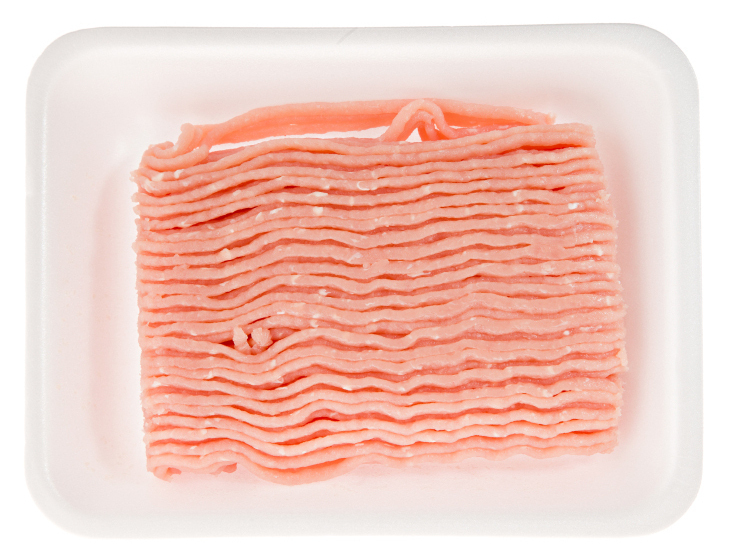 The leading candidate as the source of a nationwide salmonella outbreak is ground turkey, but government investigators haven't nailed down the specifics yet. Seventy-seven people have gotten sick and one has died in a salmonella outbreak that's appears to be caused by tainted ground turkey, the Centers for Disease Control and Prevention says. And the bacterial strain investigators are closing in on — Salmonella Heidelberg — is potentially quite bad because it's resistant to a lot of common antibiotics. That complicates treatment for people who get sick from it. So why hasn't the government issued any turkey recalls? Despite an extensive investigation by FSIS and CDC, there is very little epidemiological information available at this time that directly links these illnesses to any specific product or establishment. Without this direct link and without specific enough data, it would not be appropriate to issue a recall notice. FSIS is committed to continuing this investigation in order to obtain the additional information necessary to find the source of this outbreak, and take appropriate action to protect public health. So for now the agency is falling back on a standard public health alert about frozen or fresh ground turkey products. That's basically a reminder that consumers should cook poultry products to 165 degrees, wash their hands and keep meat and other products separate and chilled. Not good enough, says Sarah Klein, a lawyer at consumer watchdog Center for Science in the Public Interest. "USDA has a responsibility to move proactively to prevent outbreaks, rather than just responding to them once they occur," Klein says. More industry testing and an official ruling from the agency that would declare salmonella an adulteration of a meat product would help, she says. So why has it been so tough to pin down a cause this outbreak? The detective work is more complicated than you might think. In this case, government investigators have been tracking people across 26 states who have fallen ill since March. States hardest hit include Michigan, California, Texas and Ohio (see the CDC map above). About half those who got sick and for whom the CDC had detailed information reported eating ground turkey. The outbreak could last a while longer. The ground turkey may still be sitting in people's freezers, food safety attorney Bill Marler tells the Los Angeles Times. Plus, it can take two to three weeks before someone reports getting sick, CDC says.